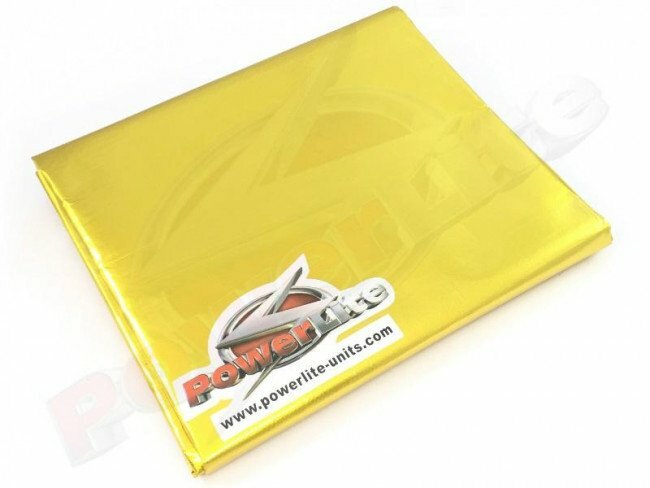 Using the latest metalized polyamide polymer laminated glass cloth technolgy and a high temperature adhesive backing, this light weight flexible, easy to trim, gold barrier is used to protect firewalls, fuel cells, engine covers, seats etc. Up to 850 deg °C continuous. Available; 500mm x 600mm / 1000mm x 1200mm.